K-cup coffee makers have become all the rage these days, and this is true even though many coffee enthusiasts tend to look down on them. And what’s not to like about them? After all, they’re easy to set up and brew a cup or carafe of coffee quickly. Another positive thing about them is that the K-cups themselves come in a wide assortment of flavors. This coffee maker’s popularity has resulted in several different manufacturers releasing their own versions, which can make it difficult for the consumer to find the one that’s right for them. To help clear up this issue for our readers, we’ve listed ten of the best K-cup coffee makers available, as well as a handy buying guide that should make it nice and simple to add one of these machines to their kitchen. This single-service K-cup brewer is not only one of the most inexpensive models on this list, but it’s also one of the smallest. Its small footprint allows it to be used virtually anywhere in the kitchen, but it also may contribute to it splashing coffee a little bit more than comparable coffee makers. Even with this slight defect, however, this K-cup brewer does a great job of brewing up a cup of coffee. Not only does it brew it quickly, but the coffee that comes out of it isn’t too watery or too strong. And since it has a 1-touch operation, it’s extremely easy to use by just about anyone. 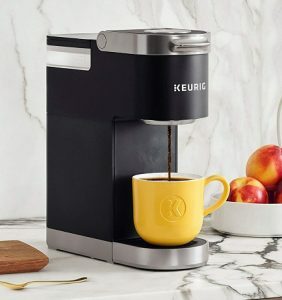 Not only does this machine have a very nice design that will complement any modern kitchen, but it also has the features that many K-cup fans are looking for when they purchase one of these machines. It has a 72-ounce removable water reservoir that’s easy to fill, has a charcoal water filter for improving the coffee’s water quality before brewing, and allows for 5-different beverage sizes. Although some of its parts don’t feel as durable as we would have liked, overall the machine brewed up great cups of coffee from 4-ounces to 12-ounces in size. And it also has an instant hot water button that allows it to be used for tea or soup. Although this machine is only suitable for regular size coffee cups and doesn’t accommodate the taller mugs that some coffee drinkers prefer, it does have a few great features that make it a worthy machine to own. This product has a small footprint that saves valuable counter space, and it has a price tag that’s more than reasonable. It also has an 800-watt heating element that can brew a cup of coffee in about 2-minutes. This machine also has an auto-off feature that shuts it off after 15-minutes and has a handy one-touch operation. All of which makes it a great machine to own and use. It’s unfortunate that more coffee drinkers haven’t had the opportunity to hear about Aicok Coffee Machines because they really do an exceptional job at brewing K-cup coffee pods. Although this machine won’t accommodate taller mugs, it is capable of brewing 5 distinct brew sizes including 4, 6, 8, 10 and 12-ounce cups. It’s equipped with quick-brew technology, so it can brew a cup of coffee in as little as 30-seconds, as long as it’s been preheated. It also has a removable 45-ounce water reservoir that allows the consumer to brew up to 6-cups of coffee. And it’s all available for a price that’s extremely reasonable. This machine has a very slim profile that allows it to fit on even the most crowded of counters. It’s approximately 12.25-inches high, 4.25-inches wide and is 6-inches deep. This compact size allows it to be easily used in small kitchens, one bedroom apartments or even in dorms. It can be used with either the coffee drinker’s favorite K-cup pod, or it can be used with the reusable filter and the user’s favorite ground coffee to make their favorite coffee. And since it is so tall, this machine can easily accommodate travel mugs, so anyone can fill up a mug of coffee before heading off to work. This easy-to-use 2-way coffee maker can brew an extremely nice cup of coffee. Coffee can be brewed using a K-cup, or if the user prefers, they can use the unit’s mesh filter to brew up their own ground coffees. Although it’s quite easy to overfill the tank and cause a mess with this machine, that’s easily avoided if the user fills the water reservoir using the same cup they intend to drink coffee from. This product can brew a 10-ounce cup of coffee in 3-minutes, is fully automatic and can even self-clean itself. This machine not only has a style that will impress just about anyone, but it also has a full-color touchscreen that makes it easy to use. Although this product is priced higher than just about any other K-cup coffee maker on this list, it does make a fine cup of coffee. This product has a 90-ounce removable water reservoir that’s easy to fill and allows the unit to make 18-cups of coffee before it needs to be refilled. This machine has 4-different brew sizes from 4-ounces up to 10-ounces, and it has a programmable on/off setting. All of which makes it a good machine for the office or for the home. This coffee maker is ready to make a good cup of coffee, regardless of whether you’re using a tall mug or a regular coffee cup. It has a 75-ounce water reservoir that’s removable and allows the user to brew 8-cups of coffee before they have to refill it. It also allows the user to brew in one of five different sizes from 4-ounces to 12-ounces, and it has a Strong Brew Button that makes it easier to increase the strength of a cup of coffee. It has a removable drip tray to accommodate mugs up to 7-inches tall, and it also has a 1-minute brew time, too. It’s a machine many coffee fans will appreciate. Although this single-serve K-cup coffee maker is a bit more expensive than some other coffee makers, that’s primarily because it isn’t your average K-cup coffee maker. This machine can not only be used to make coffee and lattes, but it can also be used to make cappuccinos as well. This machine is capable of brewing in 4-different cup sizes, has a Strong Brew Button that can increase the strength of the coffee, and it even comes with a dishwasher safe milk frother. With this machine, no coffee drink is beyond the coffee lover’s reach. This K-cup coffee machine has all of the features a person could want out of one of these machines. It has a large removable 45-ounce water tank, it has 5 different brew sizes that allow the user to brew cups of coffee up to 12-ounces in size, and it also has a rapid brew feature. This machine is compatible with all 1.0 and 2.0 K-cups, and it brings the coffee to the perfect brewing temperature. Additional features found on this machine include an automatic shutoff feature that saves energy, a small size that allows it to fit in most kitchens and a water tank that’s BPA-free. 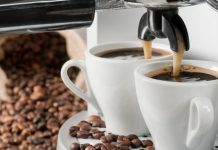 Although these coffee makers have enjoyed a surge of popularity over the past few years, most people don’t know very much about these machines. Sure, these machines are fast and convenient, but why were they developed and which ones are the best ones? Even though we may not have the editorial space here to answer all of the questions that surround this product, we can get to the heart of the matter and find out where these machines came from, why they’re useful to own and which ones are the best K-cup coffee makers. So, let’s not waste any more time—let’s get down to business and get those questions answered. 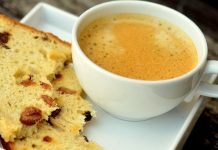 In 1992, longtime colleagues and former college roommates, John Sylvan and Peter Dragone, came together to solve the problem that a lot of offices had: The problem of coffee getting bitter as it sat in the coffee maker. They founded a company they would eventually call Keurig—a company name that’s the founders believed derived from the Dutch word for excellence. However, Keurig doesn’t actually mean excellent in Dutch. It actually means “neat” or “tidy.” Regardless of the actual meaning of the name, however, this company began to set out to create machines that were compact, reliable and could produce single-servings of coffee. With an investment from Green Mountain Coffee Company, Keurig would go on to create and produce single-serve K-cup coffee machines. Just in 2002 alone, Keurig had sold over 10,000 machines, which inspired other companies to develop their own single-serving coffee makers. 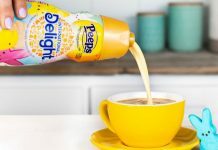 By 2004, Keurig had competitors that included Procter & Gamble and Salton, but since they had already cemented their position as a market leader, they are usually the ones that people think about when they think of K-cup machines. Why Own A K-Cup Coffee Maker? Since most of the people who are likely to read this guide already know many of the benefits of using a K-cup coffee maker, we may be preaching to the choir, but we’re going to proceed anywhere. That’s because regardless of what many of the coffee snobs believe, these machines do have a place among the other types of coffee machines. Yes, these machines belong right up there with other great coffee makers including percolators, automatic drip coffee makers, French press machines, and even espresso machines. And that’s because they have some pretty good benefits to them. Below is a sampling of some of these benefits a person can expect out of owning a K-cup coffee maker. They’re Not Messy: With these machines, there are no grinds to wipe up and no full coffee filters to rip and spill grounds all over the linoleum floor. Their K-pods are simple to remove and simple to dispose of. They’re Consistent: These machines brew the same strength of coffee each and every time. Which eliminates the guesswork out of trying to determine whether your coffee is going to be too weak or strong. They’re Fast: Simply fill the machine with water, drop in a K-pod and press a button. And that’s usually all there is to it when operating these machines. There’s A Variety Of Pods Available: When these machines first came out, there weren’t a whole lot of pods available but that has changed. Now, there are all kinds of different flavors available. They’re Versatile: If you don’t want to use a K-Pod, you don’t have to with these machines. You can easily buy a reusable K-cup filter and use your own favorite coffee grounds. They Have A Unique Taste: Although not everyone likes K-Cup coffee, those who do can’t imagine drinking anything else. Now it’s time to talk about how to buy the best K-cup coffee maker for your needs. Although you can simply look at our top ten list above to come up with a great model, the following tips will give you a few points to consider if you decide not to go that route. Even though, we would like to say that you should check out the above list because those are the best models currently available.